...there are some things you MUST know and accept about Create50 and The Impact50. This is an initiative to platform talent, connect talent and improve our skills in filmmaking and marketing. If you see it as a competition only, you will miss the greatest benefits. Dates and deadlines tend to be soft and moveable. We do this as we discover things on the journey and modifying the process will likely result in a better film. The whole process will take longer than we all anticipate, in line with all filmmaking endeavors. We operate in as transparent a way as possible and share many updates via the News section. We invite you to get involved in conversations. You MUST write a script for your film that is two pages or less. You can retrospectively write this script if you work more improvisationaly. 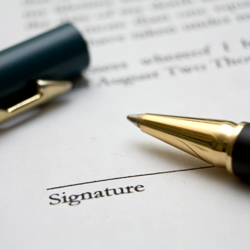 You will need to supply a Screenwriters Agreement (supplied as part of the contracts pack, see later). You MUST credit the writer(s) on your short film. You MUST have contracts with everyone involved, cast and crew, and supply location release forms. We will supply you with simple contracts. Music must be cleared for world right(s) and appropriate contracts supplied. We suggest working with a composer or using library music. DO NOT USE ANY MUSIC YOU DO NOT HAVE THE RIGHTS FOR. Upload your film without titles over picture. You must use the title card we supply at the start of your film. Your film will be publicly viewable as part of the process. Please do not share your film on other platforms until after the conclusion of the Impact50 initiative. You can share your film on other platforms and enter it in festivals etc. once the final film is released. We have no interest in getting in the way of you showcasing your film, we just ask you only do this once the main feature film has been released. Your film should be produced in the English language (but look, if you really must do it in your language, we won't disqualify it). If you are successful in getting into the final film, if you cannot supply us with all the original files, your edit project and your edit media, we may need to remove you from the final project. We will need ALL cast and crew names, phone numbers and emails so that we can invite them to the premiere. Shoot 16:9 aspect ratio, not 4:3 or 1:2.35 etc. Avoid illegal colours such as crushed blacks or whites that ‘blow out’. Take lots of stills, both of the drama / action (for posters and marketing) and of the cast and crew in action (so we can market you and the process). Get a clapperboard shot, and a cast and crew shot. Do upload in time to get feedback from the community so you can re-edit, remix, regrade, even reshoot. Please let people know what you are doing via Facebook, Twitter etc. Write blogs for us for the Create50 site and share what you have learned in the process. Entering does not guarantee your film will in any way be featured in the final film, and we are not obliged to produce a final film in the instance that we do not receive enough high quality entries (the lawyers wrote this bit ;0) ). You will be required to sign a contract before entering. We reserve the right to disqualify any filmmaking team if they are in violation of these rules and guidelines. In the interest of clarity, you can make as many films for submission as you like. Many teams will produce four or five entries. IMPORTANT... If your story allows for it, consider shooting the moment leading to the blast wave impact for your character(s). We may use these shots in a montage. This moment may already be scripted, in which case fine, or unscripted, in which case imagine what that moment would be and shoot it. It does NOT need to be submitted as part of the short, but if your short makes it into the final film, it MAY be included then. Please let vicky@create50.com know about this shot and send it over via WeTransfer with clear details on you, your production and contacts etc. Filmmakers who want to be a part of the Impact50 initiative will need to sign a Filmmakers’ Agreement, and you will grant us the rights to incorporate the short film into the final feature if selected. The biggest note is that deadlines and some rules and guides are likely to change. This is because a film is an organically growing process and we want to make the best possible end result. If you cannot accept that there will be some changes, you should consider whether this is the project for you. Also, please remember we are a small team, so rather than asking us to correct a mistake you have made, get it right BEFORE submitting. Your film, if successfully selected, will be featured in a collection of others. This will mean we may make changes to it and some of our guidelines reflect the fact that it is not a standalone film. Get a proper editor to help you as you are not just making a film for YouTube, it’s for the big screen too. Please shoot your film at 25p. If you cannot, shoot it at 24p or 23.097p instead. Please shoot 1920x1080p or better. Please edit using a professional editing tool such as Avid, Premiere or FCP as we may need to access both your footage and project. Keep all your media and project files safe as we may need access to them for the final film. Make backups of your final film and all media. Avoid low resolution / low definition codecs or ‘renders’ that will reduce the quality of the format or media that you shot. Allow the opening and closing shots a couple of extra seconds for editorial reasons. Edit your sound properly. This means isolated tracks for music, sound effects, dialogue, atmospheres, ADR, Foley etc. Do a full sound mix but keep all your tracks separated so we can remix if needed. If you run into issues, let us know. One film in the final edit of 50 Kisses was only submitted at the end as the filmmaker had written it off as he lost half his media. We managed to save it and include it.